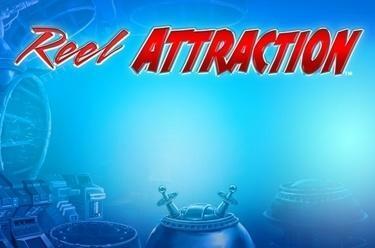 Play Reel Attraction online for free now! Warning, experimental zone! Our crazy professor is just creating a plethora of radioactive Twists. Swing by the Reel Attraction lab and combine atoms and other symbols on 5 reels and 20 lines to turn matter into Twists! Our professor can successfully transform a combination with the help of the joker magnets and accomplish a winning stroke of genius! 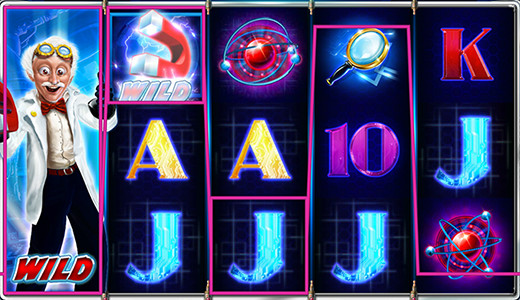 Your aim: 5 matching symbols along the 20 win lines. Once you land 3 identical symbols from left to right along a line without interruption, you win. The magnet represents all symbols except for Scatter. If the professor appears on the first reel and along with him several magnets on reels 2, 3, 4 or 5 our genius gets going: The professor expands to all the positions on the first reel and all the reels with magnets move to the right. Your luck is in the test tube - 3 glass bulbs in any position (Scatter) win 20 free games for you! You will play with your settings from the last regular game and you can win 20 additional free spins once during the free game. If the mad professor appears during the free game he will stay until the end of the free games.